Are you in love with dinner theater? Do you obsess about synchronized swimming? Did you break it off with a mildly annoying City Health Inspector to start a relationship with an aspiring burger cook with a swarthy complexion and a magnificent mustache? Then you might just be Linda Belcher from Bob's Burgers! She's the one-woman chorus that's ready for song and dance between serving burgers of the day to loyal patrons of her family's restaurant and trying to keep her sister, Gayle, from going completely bonkers. Of course, if you find yourself feeling a bit like Linda, then we may just have the perfect costume for you. 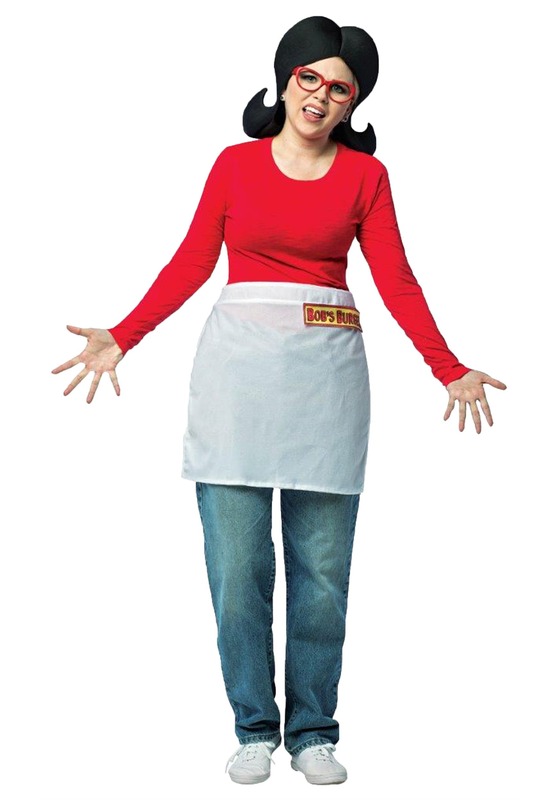 This Adult Bob's Burgers Linda Costume brings you the signature look of Bob's number one gal from this cartoon series. It includes the apron worn by her during a hard day of work at the burger shop. It even has the Bob's Burgers logo right on the side, so everyone will know that you're hard at work serving up lunch. To truly be in character, you're going to need to practice up on your show tunes, since no Linda costume is complete without a flashy song and dance number in the middle of serving up the burger of the day.